All in Print 2016: Special Promo Codes for our visitors! Magnetic Clamp Pads to help spread the pressure of the Paper Cutter Clamp to prevent damage or crushing the top sheets of the paper stack during the cutting process. Ideally designed to protect the top sheets of carbon, NCR and other delicate papers from the marks caused by the Paper Cutter Clamp pressure. For use on all popular Paper Cutters and Trimmers. 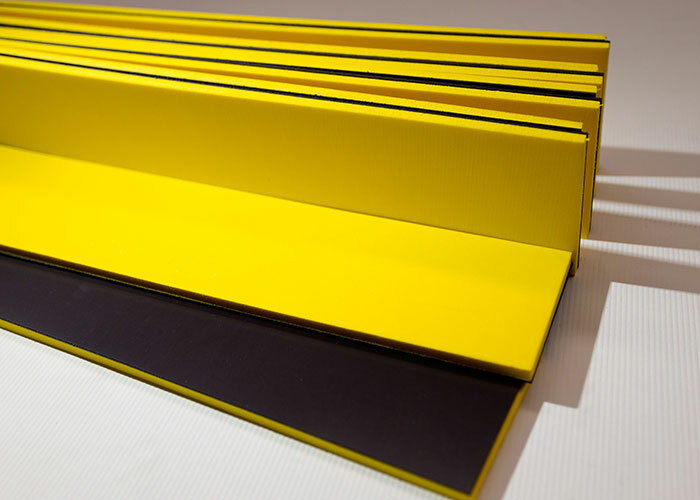 DURACUT Magnetic Clamp Pads are made from a durable, dense and yellow cellular polyurethane foam pad laminated to a rubberized magnetic strip. This combination allows for an economical means of protection which can be affixed either directly to the Paper Cutter Clamp or the false clamp plate. Standard product in strips of 381mm length x 76mm width x 8mm thickness. Special sizes can be made to order in minimum quantity.